Charles and Karen Dodds opened their salon, Cutting Room Creative (CRC) in Chapel Allerton, Leeds in 1985. 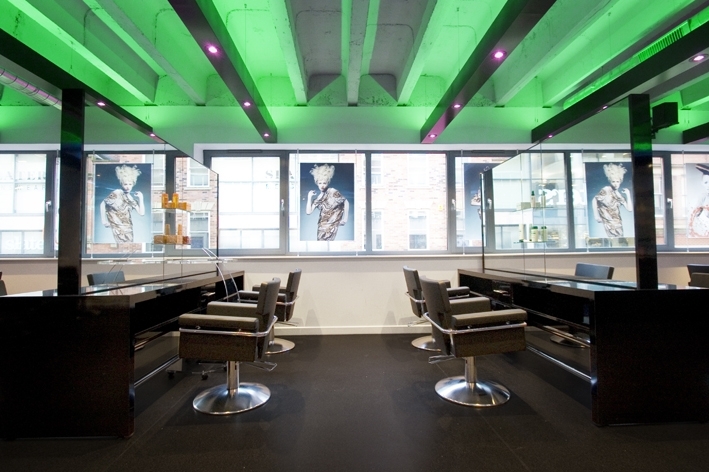 The vision - creating a luxury hairdressing salon with customer care at the core of the business. The salon was a huge success and began to expand rapidly. And with increasing demand for a central location, a second CRC salon was opened in Leeds' city centre. Throughout the last decade, Charles and Karen’s indisputable success has been evident from the salon’s succession of achievements, including scooping the Northern L’Oreal Colour Trophy, the Creative Head IT list’s One to Watch, and the Mizani Afro Catwalk Look Award. In 2014, Charles and Karen adopted KeraStraight’s premium smoothing and straightening services in their salons. In a recent interview, they told us that they have since seen a tremendous boost in sales and customers satisfaction. “Previously we were having to cherry pick the clients we offered the service to as it wasn’t suitable for all hair types, especially with very coloured hair,” said Karen. Before changing over to KeraStraight, the couple had no idea how well-received the new products would be and how greatly they would impact business. Charles revealed that they hadn't realised how extensive the KeraStraight range was, nor how versatile it could be in treating so many different hair types. After an endorsement from Trevor Sorbie and due to the product’s excellent health and safety reputation, KeraStraight was a natural choice for the salon. How did CRC’s Stylists Adapt to KeraStraight? Following a launch in which KeraStraight demonstrated the products to the salon staff, a buzz and excitement exploded within the team, which consequently hooked the interest of customers too. Charles and Karen treated the entire team to an Intense Boost or KeraStraight treatment free of charge. The staff were overwhelmed by the effects of the products and immediately began recommending the treatments to friends and family. For two weeks following the launch, both salons agreed to use only KeraStraight products when they could, resulting in every member of staff truly embracing the brand. Having initially only trained two members of staff in each salon, every Stylist within CRC’s almost 60-strong team is now KeraStraight trained and every Assistant is trained to deliver the Intense Boost Service. How Has KeraStraight Impacted CRC’s Business? The effects of KeraStraight on CRC has astounded Charles and Karen, with turnover and profit dramatically increasing. In addition to the full service, the results of the Intense Boost have been a welcomed surprise, rapidly surpassing all other treatments and service in popularity for both clients and staff. Other treatments had been a hard sell in the past, but the salon now finds that almost every customer receiving the Intense Boost has been interested in re-booking another, or going in for the full KeraStraight service. The products have been a tremendous hit at client evenings too, some of the most successful the salon have ever seen. Usually initial enthusiasm wanes after time, but we’re finding that interest is building all the time and we will be repeating the client evenings, which were the most successful client evenings we ever had. Although we will not be taking it for granted, we are full of confidence as the team are delighted with the results, the clients are thrilled with their hair and the business is enjoying significantly improved turnover and profits. I’m delighted to say that everyone is happy!